Kansas City's Boulevard Brewing Co. (barrel room above) debuted its first barrel-aged beer, Bourbon Barrel Quad, in 2008. Since then, the brewery has emerged as a leader in the barrel-aged brew category, with nine barrel-aged offerings available. Bill Murnighan marvels at the many options that craft beer lovers enjoy today. The beer buyer at Bailey’s Taproom in Portland, Oregon, says that variety is particularly apparent in the barrel-aged beer segment, where brewers are experimenting with all manner of barrels, as well as new ingredients. “It seems like nothing is off the table when it comes to barrel-aged beer these days,” says Murninghan, pointing to the range of spirits and wine barrels used for aging that help “create an infinite combination of fun flavors.” And for retailers like him, cask-aged brews can provide a handsome return, as they’re often priced at $15 or more for a large-format bottle. David Walker, cofounder of Firestone Walker Brewing Co. in Paso Robles, California, says rising interest in beer-making techniques is also contributing to the segment’s popularity surge. “Barrels have played a role with beer at various points over the centuries, and seeking out those flavors is a journey,” he says. “When you add the dynamic of spirits barrels to the equation, then the flavor opportunities become infinite.” Walker points to flavors like dark chocolate, coconut, caramel and tobacco, which are derived from the casks Firestone Walker uses to produce its wood-aged brews. 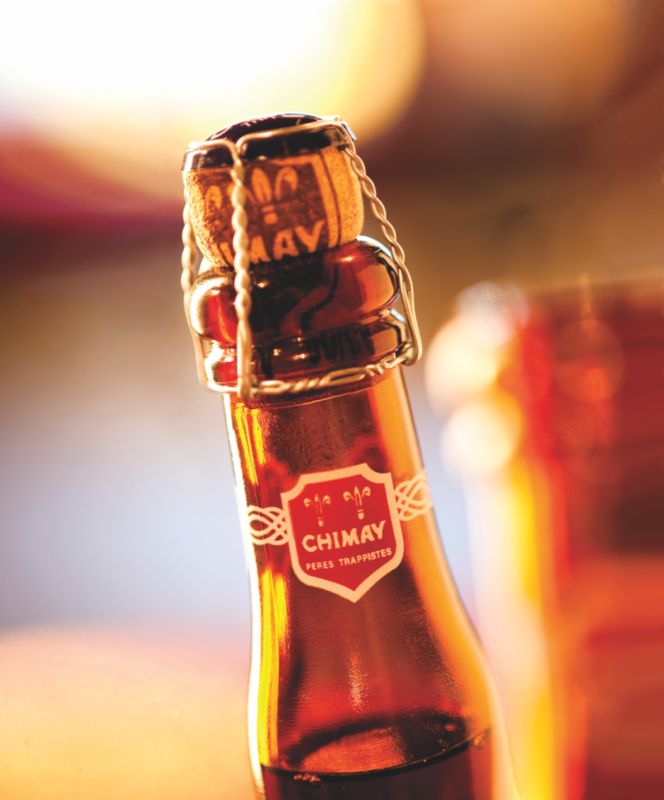 For the past few years, Belgian brewery Chimay has aged a portion of its annual Christmas brew, Chimay Grand Reserve, in barrels. The most recent special edition spent time in rum barrels prior to bottling. 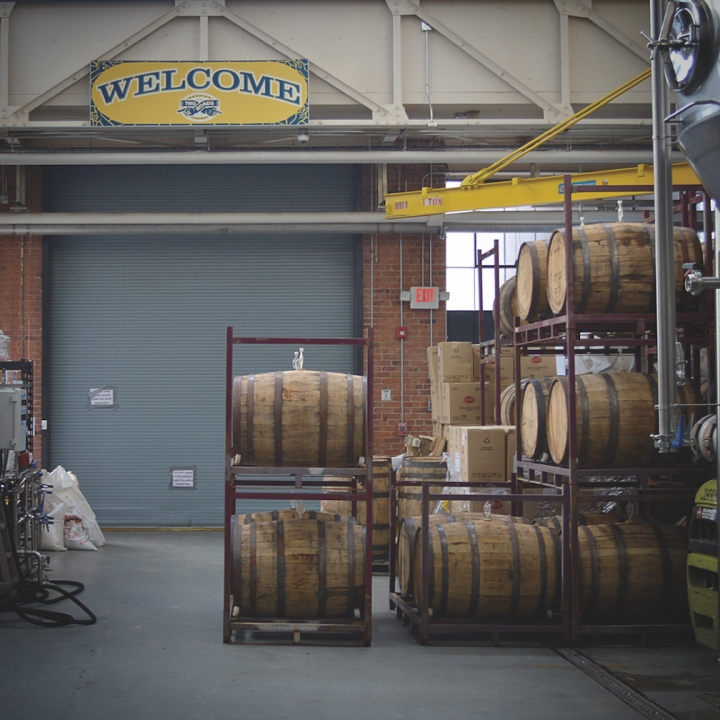 Kansas City, Missouri–based Boulevard Brewing Co. has emerged as a leader in barrel-aged beer production. “Our first release of a barrel-aged beer was in 2008 with Bourbon Barrel Quad,” says ambassador brewer Jeremy Danner. “At the time, we’d been brewing The Sixth Glass, a Belgian-style quad, for nearly two years, but wanted to find ways to make it more complex. Whiskey barrel–aging with tart cherries did the trick.” Today, Boulevard produces nine barrel-aged brews, with the year-round Bourbon Barrel Quad—priced at $12 to $14 a four-pack of 12-ounce bottles—the top seller. Firestone Walker’s involvement in barrel-aged beers, meanwhile, rose from its roots in the wine industry. Walker’s partner Adam Firestone is the grandson of Harvey Firestone, founder of Firestone Vineyard in California’s Santa Ynez Valley. 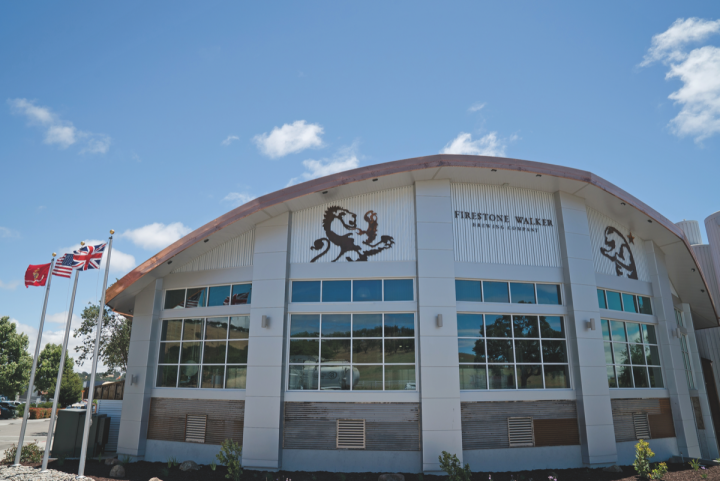 “The brewery was started in a vacant barrel room at the family vineyard,” Walker explains. 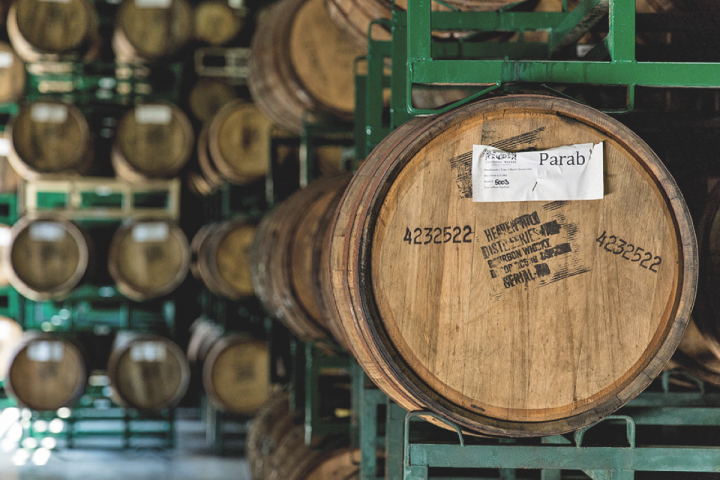 “Wood was part of our beginnings.” This year, Firestone Walker will release six barrel-aged beers ($9.99 a 12-ounce bottle), including the highly anticipated Parabola, aged in Heaven Hill Bourbon barrels, and Anniversary ale, aged in a mix of Bourbon barrels. California-based Firestone Walker is releasing six barrel-aged beers this year, including Anniversary, an ale aged in Bourbon barrels. Two Roads has been producing barrel-aged beers since it opened in 2012, and the company uses several types of casks. Offerings include the Bourbon barrel–aged Conntucky Lightnin’ sour mash ale, rum barrel–aged Roadsmary’s Baby pumpkin ale and white wine barrel–aged Worker’s Stomp saison. A few years ago the brewery even aged its Unorthodox Russian Imperial stout in an aquavit barrel. According to Markowski, Roadsmary’s Baby is the top seller of the lot, generally priced at $11.99 a six-pack of 12-ounce bottles or cans. Parabola, one of Firestone Walker's new brews, was aged in Heaven Hill barrels. As with other beer styles popularized by craft brewers, barrel-aged beers now include many variations. “More and more brewers are producing barrel-aged beers, and they’re not just using Bourbon barrels—they’re using Tequila, gin and wine barrels,” says Ferdinand Sneed, beer manager at the flagship Jungle Jim’s International Market in Fairfield, Ohio. The store’s cask-aged beers can be priced as high as $20 a 750 ml. of Founders Brewing Co.’s Kentucky Breakfast Stout (KBS). Kenny Cooper, beer buyer at the five-unit Garfield’s Beverages in the Chicagoland area, adds, “Variety is becoming the hallmark of barrel-aged beers.” Garfield’s stores stock 50 or more of the beers, generally priced from $12.99 a 22-ounce bottle of Clown Shoes’ Crasher in the Rye to $89.99 for the 2015 Goose Island Bourbon County Stout Rare. “There’s no ceiling for these beers,” Cooper adds. Connecticut-based Two Roads Brewing Co. recently unveiled a brew aged in aquavit barrels. 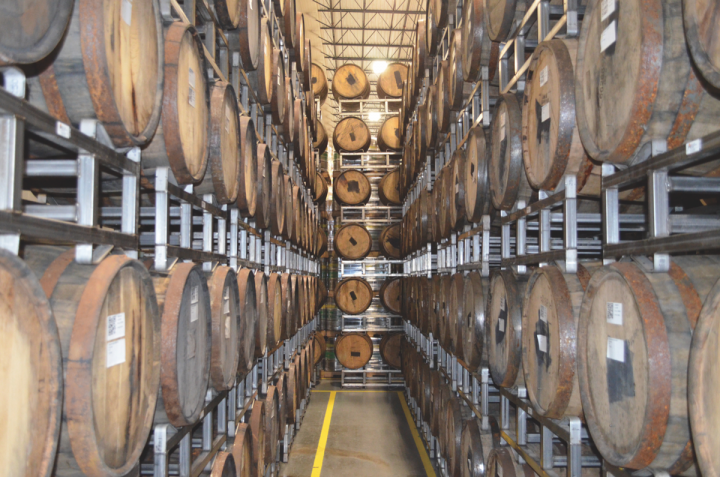 Retailers generally describe barrel-aged beer consumers as craft beer aficionados and collectors. “Tracking down these beers can be time-consuming and costly,” Murnighan remarks. “The consumer of barrel-aged beers has a collector mentality and expendable income and frequents bottle-share events,” in search of rare and unique beers, many of which are barrel-aged. But Boulevard’s Danner comments that demographics for barrel-aged beer consumers are widening as the products themselves become more diverse. “With the crazy crossover we’re seeing from spirits and wine drinkers into the beer world, it’s tough to identify just one demographic,” he says. 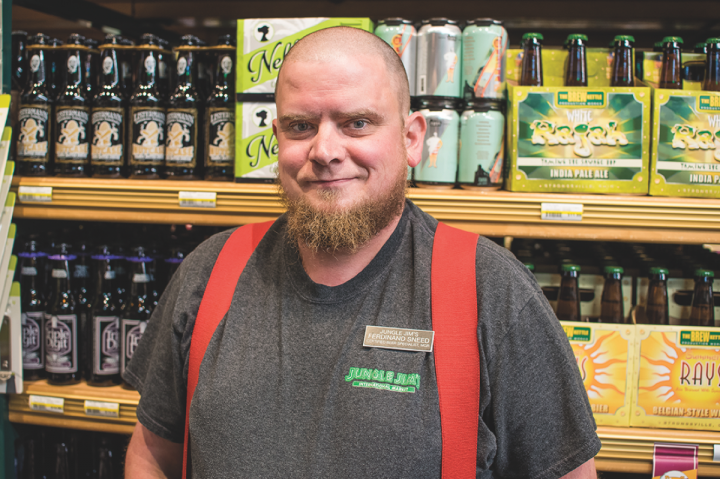 Jungle Jim's beer buyer Ferdinand Sneed sees variety as the hallmark of barrel-aged beers. As barrel-aged beers increase in popularity and volume, retailers and bar operators are supporting them with merchandising and promotional efforts. Garfield’s, for example, features special sections in its stores for barrel-aged beers. “We encourage our customers to take their time and browse the selection,” Cooper says. But sales staff help is also required. “Sometimes, barrel-aged beers can be a hand-sell,” he adds, noting that the release of the local Goose Island Bourbon County stout in late November is “a busy week at our stores.” The stores typically raffle off rights to purchase bottles of the coveted brew, rather than selling out their limited allotment to collectors who “camp out at the store” the night before the Black Friday release. Other venues also host regular events focused on barrel-aged brews. Jungle Jim’s has hosted a “Barrel-Aged Beer Bash” for the past 11 years. For $45 a ticket, attendees can sample from 80 to 100 different cask-aged beers. “It’s one of our most popular events,” Sneed say. Bailey’s Taproom, meanwhile, celebrates its anniversary every July with a Barrel-Aged Beer Fest, featuring 32 cask-aged brews on tap. “I hoard beers for the event throughout the year and put them on draft all at once,” Murnighan explains. For the last two years, the bar has collaborated on cask-aged brews for the event with local breweries such as Alesong, Breakside and pFriem.